Plans to turn an airfield into an aerospace centre of excellence trialling remotely piloted vehicles will cost £25m, according to a report. 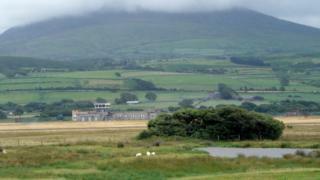 About £1.5m has been spent developing infrastructure at Llanbedr airfield in Gwynedd but a new road is needed. Improvements could also strengthen the case to use the site to launch commercial space flights, the Gwynedd council report added. Its cabinet voted unanimously to take the lead in the project on Tuesday. Members agreed to invest £500,000 to push the plans forward. Its report said backers were trying to secure money from the Welsh Government with a potential £7.5m available in European funding, subject to approval from the Welsh European Funding Office. The Welsh Government owns the former military site but it is leased to Snowdonia Aerospace LLP which works closely with defence contractor QinetiQ. The report said improving infrastructure, such as a new road to avoid Llanbedr village, would also strengthen the case to license the site as a spaceport as the UK government wants to identify locations to develop commercial spaceflight. It also said the North Wales Economic Ambition Board - a group of council and business leaders - had "given priority" to the project in terms of applying for the European funding available "to the north to develop business infrastructure". A full application to develop Llanbedr airfield is due to be submitted to the Welsh European Funding Office before the end of year.